I was so excited and honored to be asked to be on the Program Committee for Rubyconf this year! It was actually my first time at a Rubyconf (although I’d done several years of Railsconfs) AND it was my first time in sunny Los Angeles, CA! So it was a year of lots of firsts! I really enjoyed seeing behind the scenes and helping with putting together the schedule for the event. 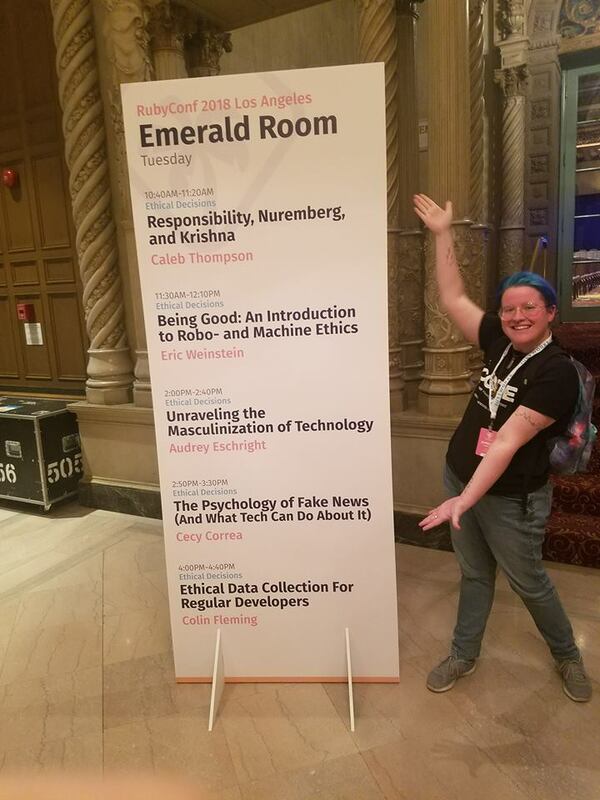 The rest of the Rubyconf organizing team was wonderful to work with and gave me the opportunity to run my track on whatever topic I wanted, so I picked Ethical Decisions. It was a huge honor to be able to work with 5 amazing speakers on 5 different aspects of ethics in engineering. 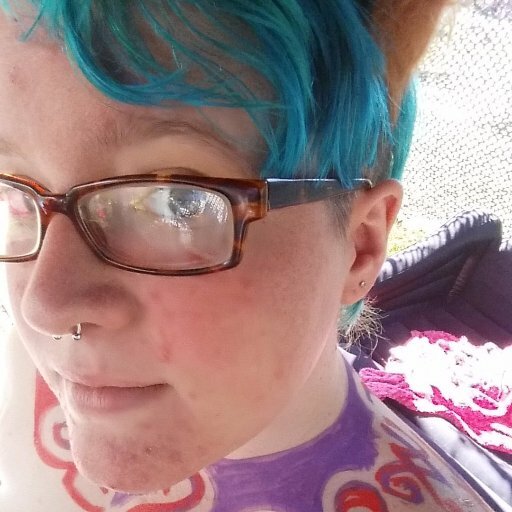 The track was a huge success and I was really touched by how much the Ruby community cares about this topic and all the wonderful feedback I got. I want to thank my speakers, the rest of the Rubyconf organizing team, everyone who chatted with me about it at the conference and everyone who attended any of the talks in my track! 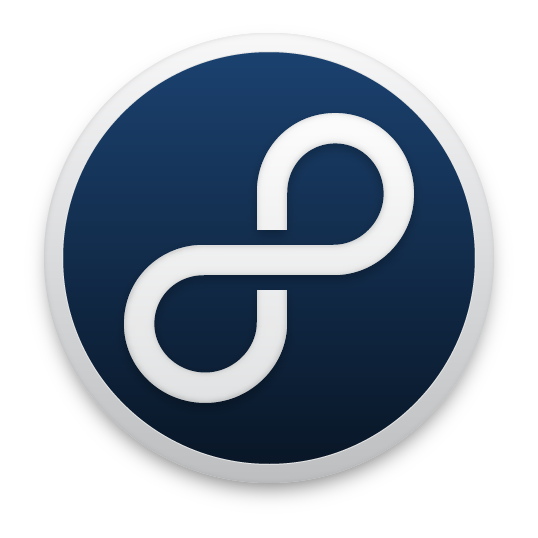 Luckily, if you couldn’t make it or missed it, the Rubyconf videos are already coming out! Honestly, all 5 talks in the Ethical Decisions track were so good that I’d like to feature all of them here. If you can, really consider experiencing the whole track for yourself. We really touched on some super important things. Besides running my track, the rest of the conference was a huge success too. 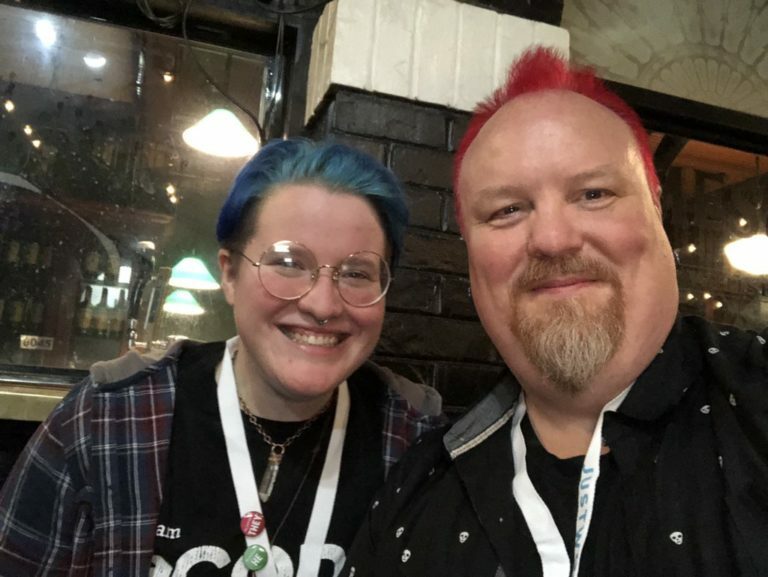 Lots of great talks, pronoun buttons, parties, and we even recorded a special episode of Greater than Code! I had a great time catching up with my #rubyfriends at the conference! I’ve never felt more like a part of the community and as always, it was great to see friends both old and new. 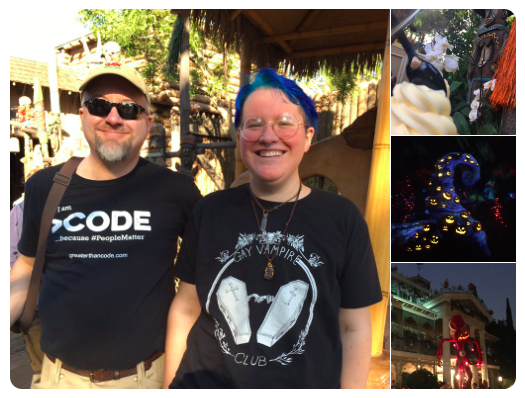 I even had a chance to make it down to Disneyland with my fellow Greater than Code panelist and very-soon-to-be-coworker, Sam Livingston-Gray! 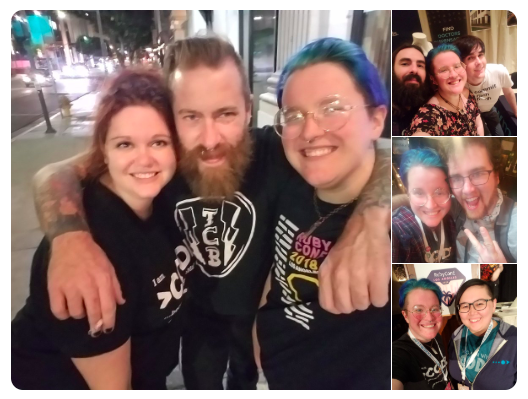 Can’t wait to see everyone again next year in Nashville (but hopefully sooner)! Awesome #rubyconf! Many thanks to the organizers, sponsors, & speakers for an amazing event.